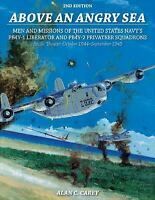 Consolidated-Vultee PB4Y-2 Privateer: The Operational History Of The U.S.
Consolidated-Vultee Aircraft Corporation's (Convair) attempt to make a few design changes to its famous B-24 Liberator for the U.S. Navy in 1942 eventually evolved into the PB4Y-2 Privateer, a 70,000-pound patrol bomber equipped with state-of-the-art electronics gear, armed with twelve .50-caliber machine guns, and the capability to deliver bombs, depth charges, and guided missiles. Beginning with the development and production of the aircraft, this book presents an in-depth examination of the patrol bomber's entire operational history from 1942 to the present. 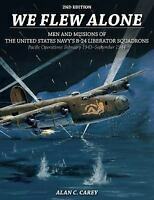 Containing over 260 photographs and line art, the book covers the PB4Y-2's service with the U.S. Navy, French Aronavale, Republic of China Air Force, various countries of Latin America, and finally as a slurry bomber for aerial fire fighting companies.